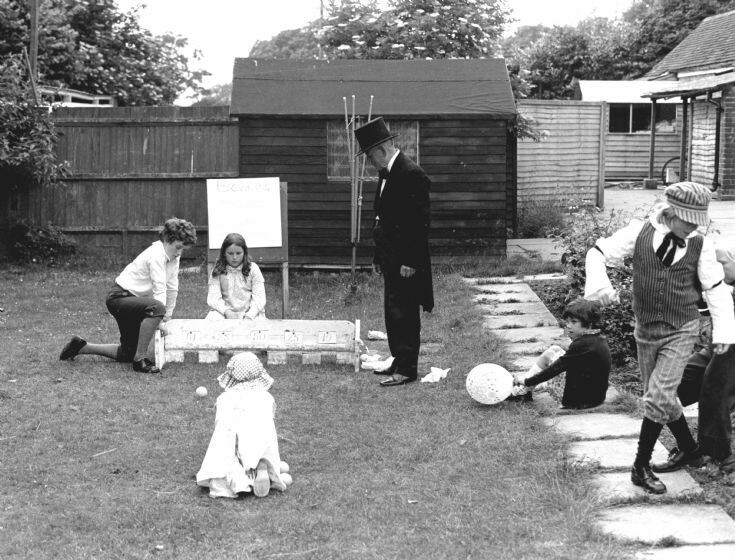 There were plenty of willing helpers at the centenary celebrations of Handcross School in 1978 including, above, Jack Greenfield with his bowling sideshow. The Large Version features Mrs Pat Long with a stall dispensing, I think, strawberries and cream. Click on Open Document to view two chefs from Staplefield Road being Den Parnacott on the left and Godfrey Nice. It is not clear what they were cooking, but perhaps they were hamburgers. The photographs of Jack Greenfield and the two chefs were almost certainly taken by Derick Gordon.